The Trader's Union has said that President Abdulla Yameen Abdul Gayoom has the best economic policy among the candidates in the Presidential Election. Speaking at a press conference at their office today, the President of the Union, Imail Asif, said that they recognize that President Yameen has the best economic policy based on the policies being used worldwide. While Asif praised economic policy of PPM, he also criticized the opposition policies saying that the opposition's take on the economic policy in the country so far has not been friendly with the public and some opposition leaders have tweeted threats to take action against the Maldives. He said that trade should not be focused on one specific neighboring country but be able to trade with all the countries and it would be more beneficial to the country. Criticizing the oppositions, Asif noted a decision the Jumhoory Party Leader, Qasim Ibrahim, made whe he was the Minister of Finance. 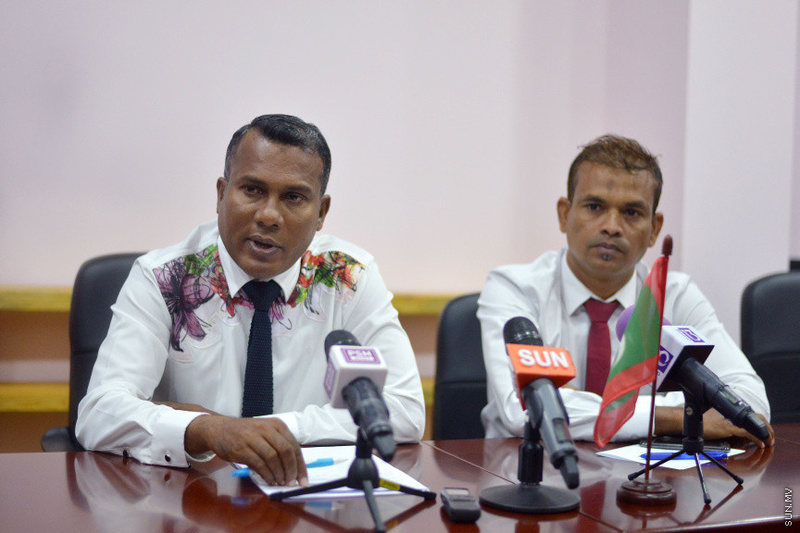 He said that Qasim took a took to the state on commercial interest and it's not something governments do. Asif said that the Maldivian politics is focused on democracy more than the economy but this is not an age where we can just stop at democracy. Asif said that instead of promising democracy upon the election win, economic policies are also important to be shown on the manifesto.